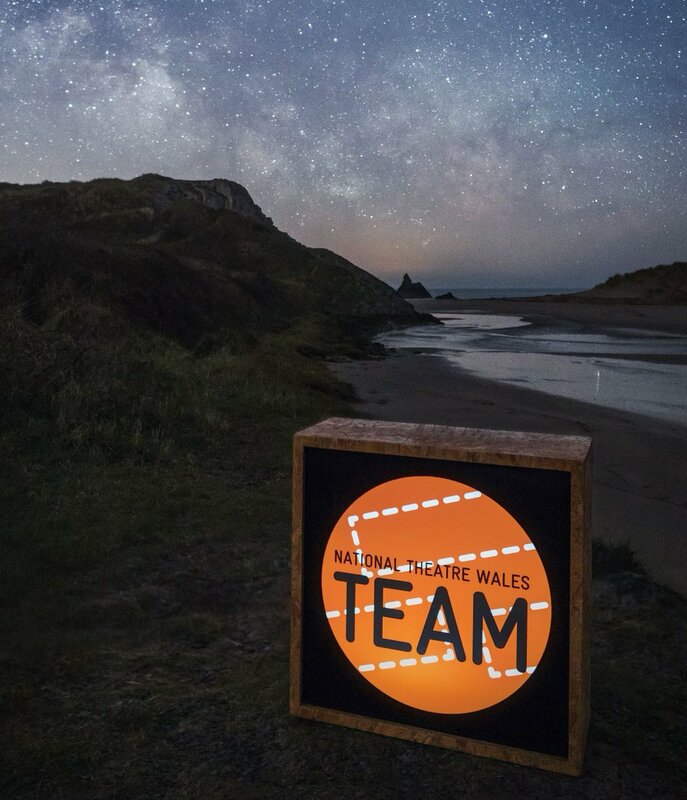 WalesLab is National Theatre Wales’ (NTW) initiative for emerging artists and new theatre ideas and offers research and development residencies across the landscape of Wales year round. It supports artists at different stages of their careers to develop new ideas and collaborations across the country. Summercamp, the highlight of the WalesLab calendar, takes 20 artists somewhere secluded for two weeks to explore ideas, form new collaborations, inspire each other and create exciting possibilities. Artists selected for the camp come from different disciplines including theatre, choreography, writing, Live Art, installation, design and digital practices. We believe that it’s this unique mix of practitioners that allows them to really push into new territories and expand their creative horizons. We are keen to introduce to the programme a number of international artists who will bring with them different attitudes towards, and approaches to, the creative process. Their experience of making and performing work in their home countries will contribute hugely to the group dynamic and shared learning. We hope, in return, they will be equally inspired by the artists, landscape and stories from Wales, begin new collaborations, and grow their international networks. During the camp, WalesLab will cater for and accommodate all artists on the project, provide a number of workshops and mentoring throughout, make available technical equipment for use during the creation and documentation of their work, plus cover the costs of internal transfers to Cardiff where necessary. We are not in a position to cover international travel. Please do contact us if this is a problem for you. There is more information about Summercamp on the NTW website. Many projects that have been initiated at the Camp have resulted in further support through WalesLab, grants for Research & Development, production funds from Arts Council of Wales and Wales Arts International have been performed in arts organisations across the country. A passion and excitement for creating new work for performance, collaborating with others and sharing ideas/work at early stages of development. A proven background in any of the following art forms: theatre, choreography, writing, Live Art, installation, design and/or digital practices. Want to engage in a creative and critical dialogue around their work with other artists on the Camp. Have been produced or presented at a professional level for at least three years. Be available to travel to the UK between the published dates for the project. Dates for 2015 are between the 22 June – 3 July 2015. Artists would be required to participate in the full two weeks plus we would recommend international artist/s arrive between 1-2 days in advance and depart within 1-2 days after this time period. If you are an artist and interested in making an application to Summercamp you can do so here.